Hello gentle reader. Sorry to have been away so long. December was busy, a virus ran through our house, and then I had to go interstate to visit sick relatives and bereaved friends, and post-trip I was pretty bloody tired. So what brought me back out again? What was it that got me all fired up and angry? What got me so very annoyed that I could not avoid hitting the keyboard? So that’s why I love myself. But enough about me. Why do YOU love me? 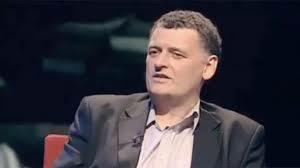 I read this today – “Steven Moffat has defended criticisms that his stories contain plot holes. In an interview with BBC Radio 2, Moffat addressed the issue for both Sherlock and Doctor Who and explained that he thinks clever viewers are able to join the dots themselves and don’t always need an on screen explanation. He said: “I think people have come to think a plot hole is something which isn’t explained on screen. A plot hole is actually something that can’t be explained. That’s the whole of it, but here’s a link to the site. He’s broadly attempting to do two things. One is to make people think twice before criticising him, lest they be perceived as being a bit dim. The other is to bolster the support of those who enjoy his writing in an uncritical way, by telling them that by enjoying what he does, they must be more clever than those who are critical. Warning – Some spoilers for Pyramids of Mars, Image of the Fendahl, Mawdryn Undead and Father’s Day. Major spoilers for City of Death, all of series five, and bits of series six and seven. Steven Moffat’s first season, series 5, blew me away. I still think it’s his strongest by far and it seemed a very canny and clever beginning to his run. It was enough like Russell Davies’ era Doctor Who not to alienate the fans who had come on board in the last few years, while at the same time gradually shifting the mythos. The theory I quickly developed, as I watched that season for the first time, was that Moffat was going to slowly remove the seeming godhood that had been bestowed on the Doctor. To take him back to being a simple wanderer who wasn’t known to absolutely everybody. I suspect he’s still heading in that direction, but it’s become more distorted with time, and Moffat’s admitted fear of the audience becoming bored, so he seems to keep straying back and forth. I may well be wrong. I hope I’m not. After becoming disenchanted during series six, to the point where for the first time in my entire life I didn’t care about the show by the end of the season, I went back to look through series five again to get the taste out of my mouth. While I knew it was not a perfect run, it was solid, held together, and made sense.